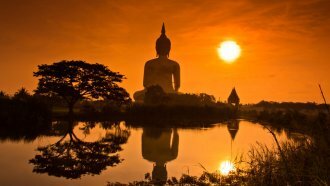 Immerse yourself in the excitement of one of our Thailand multicentre holidays. Enjoy the beauty of Thailand and its finest neighbouring destinations without breaking the bank, on a 3-star holiday to remember. Here are our favourite affordable multi-destination getaways. 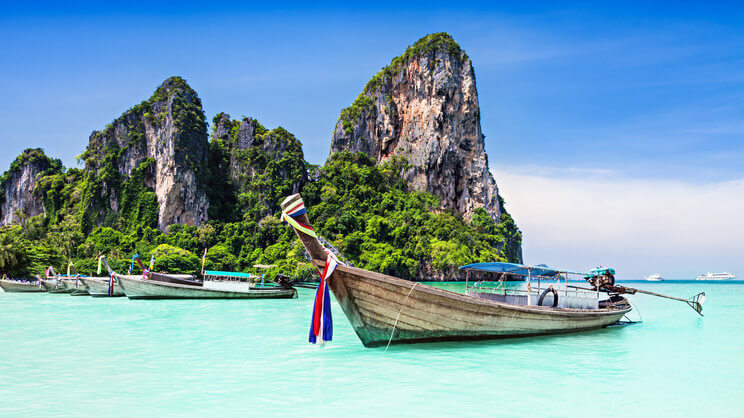 Combine traditional culture and sightseeing, with blissful relaxation on a holiday taking in Thailand and a choice of other sublime destinations. These are our top picks for an unforgettable 4-star multicentre holiday. Immerse yourself in the wonders of Thailand, or combine an unforgettable escape in this phenomenal destination with escapades elsewhere. Browse our sensational 5-star multi-destination trips here. For the ultimate Asian experience, immerse yourself in the excitement of one of our Thailand multicentre holidays. While jetting off on a Thai getaway is a wonderful experience, travelling to two or three different destinations in one holiday is the perfect recipe for the adventure of a lifetime. The destinations you visit during your Thailand multicentre holiday is up to you - you can choose to spend the whole trip in Thailand, or you can include other countries in your adventure. Why not browse some of our other destinations and discover the perfect addition to your holiday? We have a range of cheap Thailand multicentre holidays just waiting to be explored in 2020 and 2019. Getting there: Many airlines will fly you directly to Bangkok from the UK. However, getting to other regions may include catching another flight. Packing essentials: Sunglasses, sun hat, light clothing, a light rain mac, comfortable shoes. If you’re planning on visiting any temples or sacred spaces, pack clothes that cover your legs and shoulders. Passport / Visa Info: You will need a passport to visit Thailand. If you’re visiting for less than 30 days, you will not need a Visa. The contrast of destinations: Thailand is a versatile country with a rich and diverse history. That’s why Thailand multi-centre holidays are a great way to experience two different sides of the Land of Smiles. Walk through the bustling streets of Bangkok - with all its street markets and golden palaces, before jetting off to the island of Phuket to relax on a pristine white beach and soak up the glorious Asian sunshine. The ancient culture: While you may be able to see some fascinating temples on a normal Thai trip, embarking on one of our Thailand multi-centre holidays means you’ll discover more magnificent Buddhas and sacred spaces than if you just stayed in one place. The mix of food: Thai cuisine is famous across the globe for being a tantalising explosion of tastes and smells, but the types of food do vary from place to place. Travel across Thailand to really get a taste of Thai cuisine, complete with the diverse influences you’ll find in different regions. While Thailand itself is a sensational nation, with a host of magnificent destinations to choose from when planning your ideal multicentre holiday, you could decide to upgrade your adventure and experience another scintillating country along the way. Popular places to throw in the mix when planning your dream Thailand multicentre holiday include Dubai, in the United Arab Emirates, Hong Kong and Singapore. Dubai is sure to dazzle with an array of must-see attractions, thrilling activities, luxury hotels, golden beaches and glorious weather. Why not choose the mesmerising city Hong Kong? This exhilarating metropolis promises to thrill the senses with spectacular sights, fascinating culture and incredible culinary creations. Another option is the island-city state of Singapore. Here you’ll find a phenomenal futuristic cityscape, stunning landscapes and irresistible cuisine. With so many options for you to choose from, the possibilities are endless. Thailand enjoys a tropical climate, with temperatures ranging between the high twenties and low thirties, all year around. The best time to visit is between November and March, when the sun is guaranteed to be shining and rainfall is minimal. Llewys is one of Destination2’s travel experts and has travelled to Thailand on many occasions. 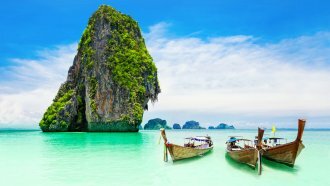 He recommends a Bangkok and Phuket multicentre holiday for anyone looking to discover the incredible culture, beaches and colourful experiences this fascinating nation has to offer. Llewys says: “Bangkok and Phuket are two amazing destinations for a multicentre holiday. 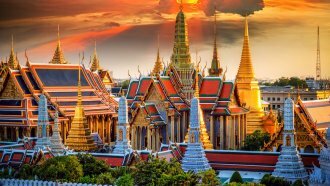 Bangkok is perfect if you’re looking to sample Thailand’s rich culture, with a host of Buddhist temples to explore, as well as colourful markets and the spectacular Grand Palace. For more details on our Bangkok and Phuket package, or any of our other multicentre deals, please speak to Llewys on . D2 travel adviser Shauna suggests tying a holiday in Thailand with a break in one of our other phenomenal worldwide destinations. She recommends a Dubai, Phuket and Khao Lak multicentre package. Shauna says: “If you’re visiting Thailand, you must visit Phuket. The beaches are absolutely stunning and there are plenty of luxury hotels and resort to choose from. “Khao Lak is another phenomenal Thai destination, with mesmerising natural scenery and a great base if you enjoy scuba diving or snorkelling. “Adding a stay in Dubai is sure to top off a magical experience. For more details on our Dubai, Phuket and Khao Lak package, or any of our other multicentre deals, please speak to Shauna on . Destination2 travel expert Poppy has a great affection for all things Thailand. She recommends a Bangkok, Chiang Mai and Koh Samui multicentre package, combining a city break with adventure and beach destinations. 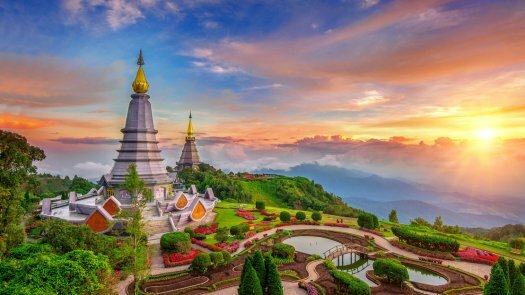 Poppy says: “Thailand has something for everyone and a Bangkok, Chiang Mai and Koh Samui multicentre holiday is an ideal way to experience as much of this amazing country as possible. “Bangkok is a bustling city offering a thrill for the senses, while Chiang Mai sits in the heart of the jungle and is a great place for outdoor adventures and enjoying an authentic taste of Thailand. For more details on our Bangkok, Chiang Mai and Koh Samui package, or any of our other multicentre deals, please speak to Poppy on . D2 travel specialist Chris recommends a multicentre holiday that allows you to experience the tropical delights of the Thai island of Koh Samui, alongside the sensational sights and attractions on offer in the dazzling city-state of Singapore. Chris says: “Koh Samui is an incredible destination with something for everyone. From stunning tropical beaches and nightlife to water sports and culture, this island paradise has it all. “You can spend your days relaxing, or enjoy activities and adventures aplenty. Then in the evening, you can head out to sample a variety of wonderful restaurants, bars and entertainment venues. “After a fabulous stay in Koh Samui, why not complete your holiday with a thrilling stop in Singapore. For more details on our Singapore and Koh Samui package, or any of our other multicentre deals, please speak to Chris on 01244 957 714.